After playing one of the most insane sets we have ever witnessed in Room 2 at our season opening party back in September, we knew we had to get this guy back for his own headline set. 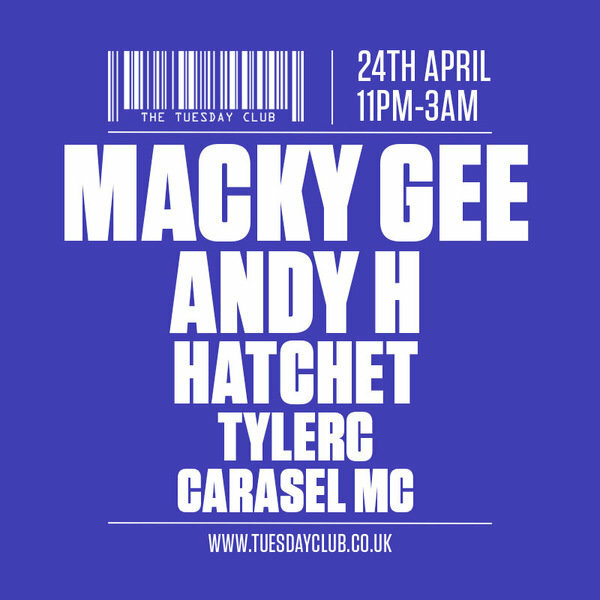 After a huge year for himself and the genre, as well as destroying dancefloors across the world as the DJ for SASASAS, we are very pleased to welcome back none other than Macky Gee! Supporting him tonight we have local rising star Hatchet, who has been setting the bar every time we’ve had him down to play over the past 12 months. Definitely one to watch. Plus, Poggerz resident TylerC will be opening up the night with his own bass heavy selections.